However, studies show that huskies share an unusually large number of genes with ancient wolves, so we can forgive you for wondering, is a husky a wolf? 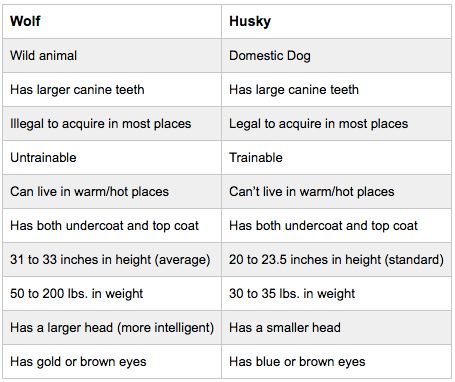 Unlike a wolf, a husky is a domesticated animal and, although related, the two are completely different species. Dogs and wolves behave differently! Like all dogs, a husky never mentally become an adult, which allows an owner to control their behavior through a regular training schedule. Furthermore, huskies are a highly intelligent breed of dog and take to training well. By their nature, wolves are wild animals and are not that easy to train. Put it this way – you won’t ever find them performing typical dog tricks. They hunt and live within a large pack of other wolves and certainly won’t fit in with your human family. Not to mention that you need a difficult to acquire permit to own one! 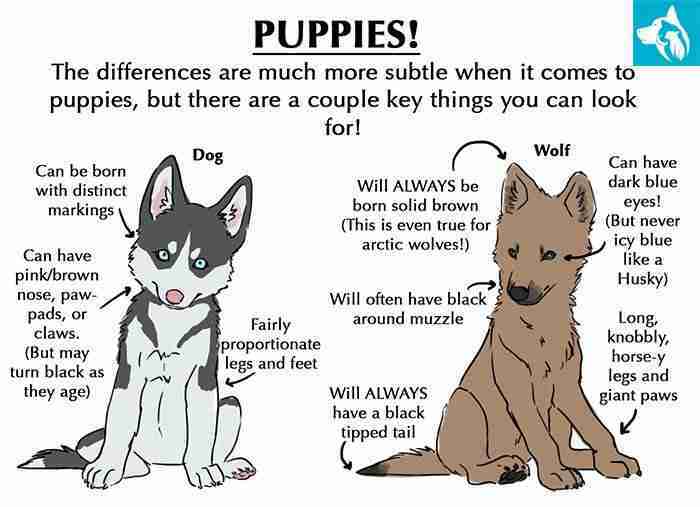 Dogs only develop to the mental stage of a 10 to 30 day old wolf puppy. This means that mentally dogs never become adults, which allows humans to be able to tell a dog what to do because dogs want to please us. This lack of mental maturity also makes dogs more aggressive than wolves, since aggressiveness is many baby animals’ natural defense. Dogs and wolves may look the same and be quite similar in terms of genetics, but their behaviors and minds are quite divergent! Interestingly, huskies can have two different colored eyes, like some cats, whereas wolves cannot have differently colored eyes. 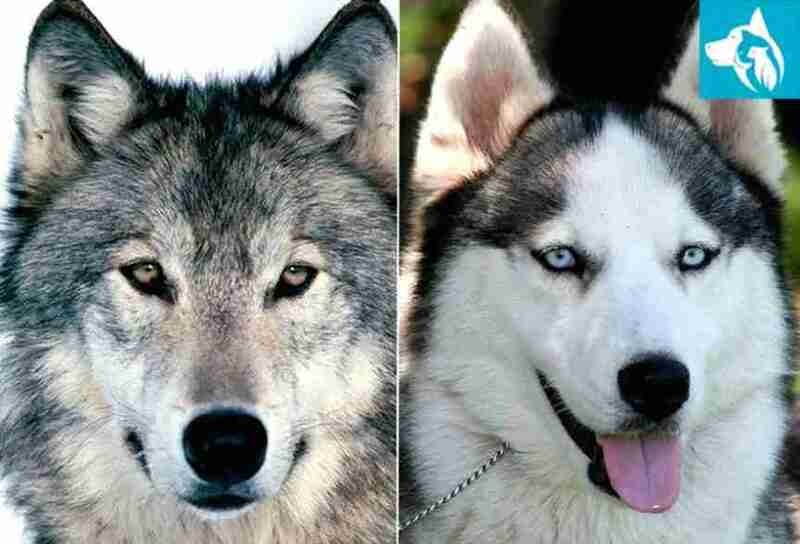 It is suggested that you get yourself a husky as wolves are innately much more difficult and independent than dogs.